Stainless Steel Oval Pipes Manufacturers, Steel Oval Tubes Suppliers, Seamless & Welded Oval Pipes & Oval Tubing Exporters in India. We Angel Pipes & Tubes Pvt. Ltd. is a leading manufacturer of Stainless Steel Oval Pipes and Tubes in various lengths and diameters for meeting the requirement of diverse industrial segments. 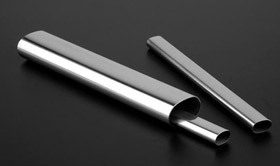 The strength and durability of our Oval Pipes & Tubes makes them foremost choice of customers based across the globe. Thes Oval Pipes & Tubes are extensively used in various industries such as chemical, petrochemical, pharmaceutical and others. These pipes are known for their excellent tensile & material strength, these are in high demand by our clients spread across the globe. These steel pipes are available in various specifications and are ideal for use in heat transfer equipment such as super heaters, boilers and heat exchangers. 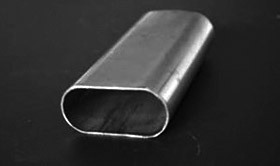 We fabricated from graded stainless steel and are supplied at reasonable price. 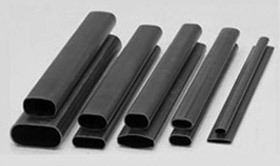 The pipes are available in various types, sizes and wail thickness. Tanzania, Sierra Leone, Azerbaijan, Italy, Kinshasa, Casablanca, Libya, Abidjan, Maputo, Kaduna, Yemen, Bulawayo, Gambia, Cyprus, Zambia, Fez, Chine, Congo, Algiers, Yaoundé, Angola, Freetown, Equatorial Guinea, Lebanon, Benin, Benin, Ouagadougou, Switzerland, Mali, Austalia, Morocco, Singapore, Argentina, Africa, Rabat, Peru, Dar es Salaam, South America, Austria, Port Harcourt, New Zealand, Ethiopa, Myanmar, Zimbabwe, Nairobi, Ghana, Pretoria, Zaria, Syria, Kazakhstan, South Sudan, Angola, Senegal, Saudi Arabia, Douala, Qatar, Mexico, Soweto, Cairo, Accra, Eritrea, Lubumbashi, Madagascar, Cape Verde, Maiduguri, Alexandria, Venezuela, Israel, Iran, Chad, Somalia, Turkey, London, Thailand (Bangkok), Kano, Réunion Island, Kampala, Algeria, Mogadishu, Botswana, Port Elizabeth, Namibia, UAE, Russia, Mozabique, Niger, Jordon, Cameroon, Abu Dhabi, Djibouti, Sri Lanka, Colombia, Ivory Coast,, Seychelles, Johannesburg, Togo, New York, South Africa, Malawi, Conakry, Iraq, Bahrain, Bangladesh, Malaysia, Burkina Faso, Indonesia, Trinidad and Tobago, Giza, Omdurman, Tunisia, Dakar, Jordan, Germany, Cape Town, Khartoum, Durban, Mauritania, Mbuji-Mayi, United States, Harare, Canada, Addis Ababa, Brazzaville, Guinea, Bamako, UK, Central African, Lesotho, Dubai, Brazil, Mozambique, Spain, Kolwezi, Vietnam, Australia, Colombo, Luanda, Houston, Palestine, Tripoli, Ibadan, Kuwait, Netherland, Lagos, Phillipine, Burundi, Subra al-Haymah, Egypt, Hong Kong, Antananarivo, Uganda, Oman, Gabon, Nigeria, Liberia, Rwanda, Sudan. Ranchi, Maharashtra, Gujarat, Bihar, Thane, Vasai, Surat, Akola, Mumbai, Kota, Manipur, Delhi, Suryapet, Navi Mumbai, Bansberia, Orissa, Nagapattinam, Haora, Nagpur, Uttar Pradesh, Faridabad, Ahmedabad, Bhavnagar, Allahabad, Tirunelveli, Ballia, Puducherry, Srinagar, Benin, Kurnool, Assam, Hyderabad, Loni, Amravati, Andhra Pradesh, Lucknow, Amritsar, Hinganghat, Virar, Kolapur, Datia, Pune, Visakhapatnam, Solapur, India, Ujjain, Bikaner, Bundi, Haryana, Tripura, Dombivali, Ludhiana, Patna, Jodhpur, Coimbatore, Jamalpur, Baraut, West Bengal, Udgir, Bhopal, Waghala, Meerut, Port, Mangalore, Belgaum, Bhadreswar, Gulbarga, Jharkhand, Rajkot, Tadepalligudem, Durgapur, Betul, Kanpur, Rajasthan, Raipur, Tamil Nadu, Gujarat, Gorakhpur, Ambala, Bangalore, Varanasi, Muktsar, Jaipur, Madhya Pradesh, Siliguri, Pimpri and Chinchwad, Nagaur, Gwalior, Guwahati, Jamnagar, Karnataka, Banswara, Kasganj, Vadodara, Kolkata, Bhiwadi, Mizoram, Saharanpur, Miryalaguda, Ajmer, Guntur, Chennai, Indore, Blair, Sadar, Ulhasnagar, Chandigarh, Vijayawada, Agra, Kalyani, Chhattisgarh, Ambattur, Hubli and Dharwad, Jhansi, Aurangabad, Asansol, Kerala, Kalyan, Madurai, Nashik, Punjab, Nagda, Jabalpur, Dhanbad, Buxar, Ghaziabad, Dehradun, Nanded.